A.I.R. Gallery is a permanent exhibition space that supports an open exchange of ideas and risk–taking by women artists in order to provide support and visibility. As an artist-run organization, A.I.R. fosters involvement through multiple tiers of representation: New York, National, Adjunct, and Alumnae Artists. A self-directed governing body, the organization is alternative to mainstream institutions and thrives on the network of active participants. Collaborations and partnerships with outside organizations and individuals ensure a platform informed by a diverse community and representative of broad views. A.I.R. maintains a gallery space in Brooklyn, NY and exhibits the work of hundreds of women artists each year. In addition to public open calls: Generations, the Biennial, Currents, and the Postcard Show, A.I.R. hosts many events, lectures and symposia on feminism, art and much more. Our programs engage an audience across a broad spectrum of experiences while creating a lively discourse among artists. A.I.R.’s Fellowship Program For Emerging and Underrepresented Women Artists provides a year-long career development intensive for six artists each year as well as life-long support and collaboration. Since 1972, A.I.R. Gallery has been leading the way in championing women artists, increasing their visibility and the viability of their endeavors. Click here for a quick lesson of A.I.R's long history. 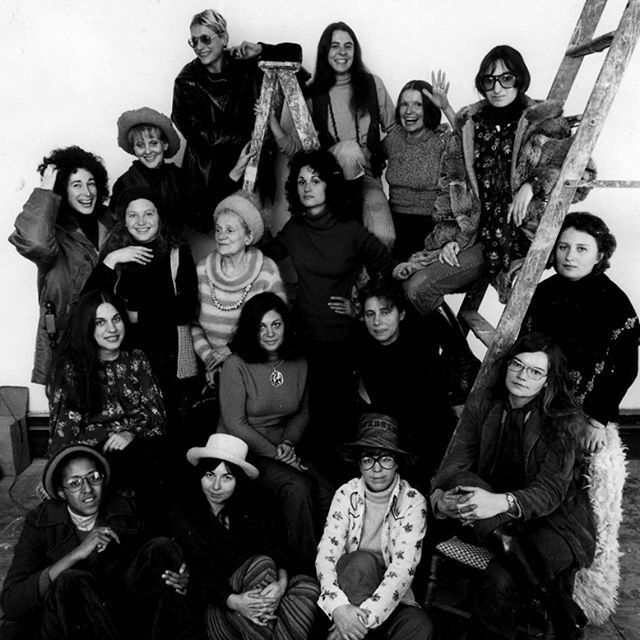 In 1972, artists Susan Williams and Barbara Zucker were joined by Dotty Attie, Maude Boltz, Mary Grigoriadis, and Nancy Spero and selected fourteen more women artists to form twenty co-founders of A.I.R. Gallery. Rachel bas-Cohain, Judith Bernstein, Blythe Bohnen, Agnes Denes, Daria Dorosh, Loretta Dunkelman, Harmony Hammond, Laurace James, Louise Kramer, Anne Healy, Rosemary Mayer, Patsy Norvell and Howardena Pindell, and Nancy Wilson-Pajic.